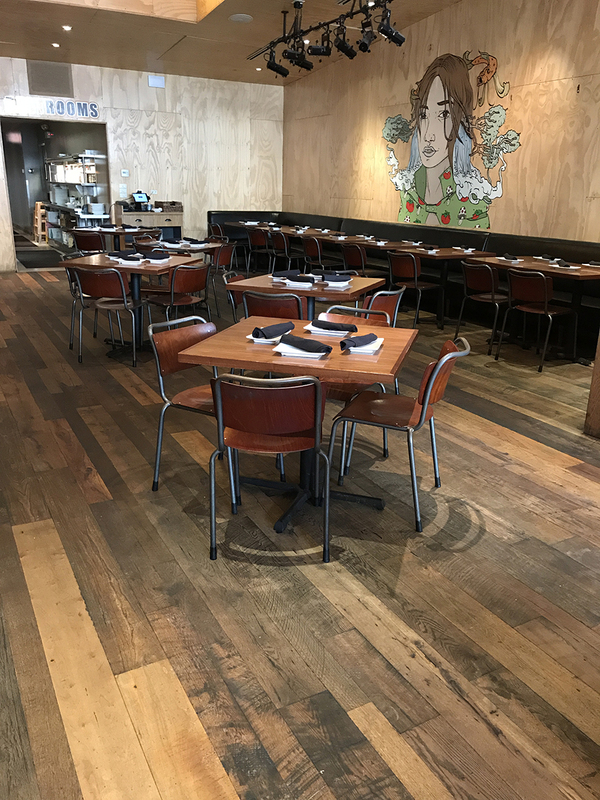 Can a sustainably harvested or reclaimed engineered wood floor be eco-friendly and socially responsible? We studied, researched, and developed until we created our own engineered wood products that are FSC-certified, formaldehyde-free, low-VOC, CARB2, and made right here in the USA. 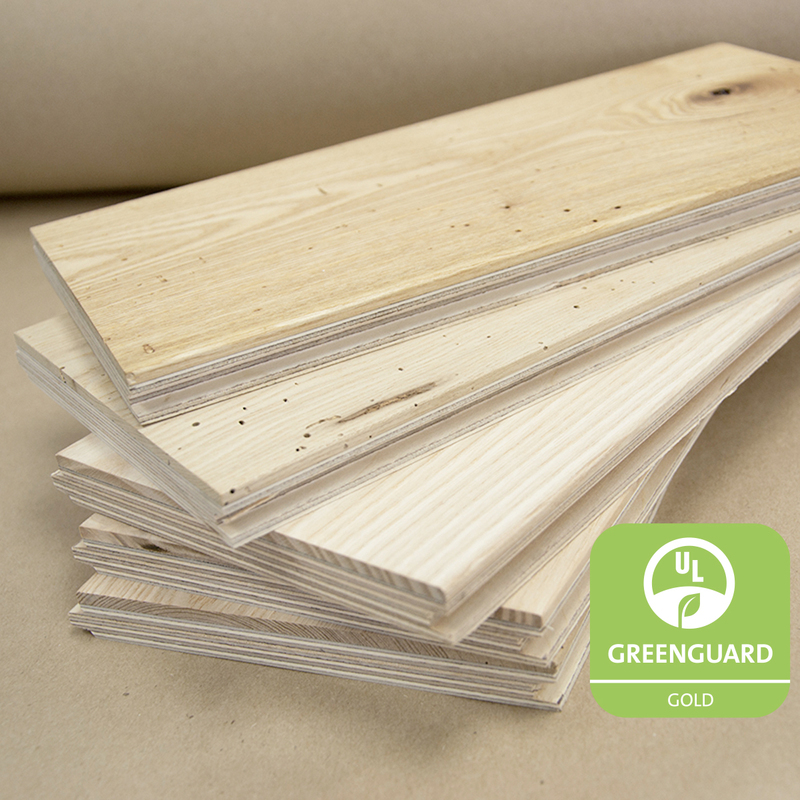 And now our engineered flooring* is UL GREENGUARD Gold certified unfinished or with a UV-nanocomposite finish. Available for most of our reclaimed wood and all Modern Farmhouse options—you can mix engineered products into your project while maintaining consistency with your solid wood choices. Our engineered wood is ready for installation on cement slabs, in basements, over radiant heat, or anywhere you need your floor to have minimal movement. *Our Indonesian Teak engineered floorings are NOT UL GREENGUARD certified. 4"–6" (nominal), random. Special orders available. 12mm (9 ply) thickness for finished 5/8"
UL GREENGUARD Gold certified in unfinished and with a UV-nanocomposite finish.